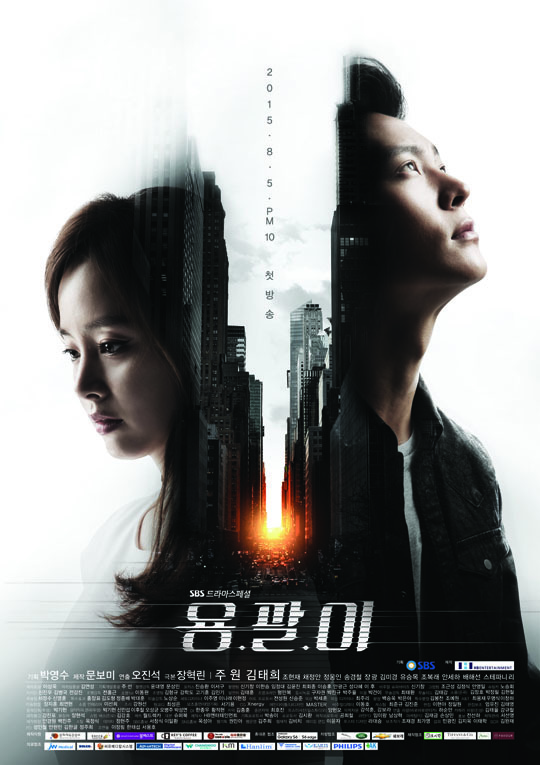 I was pretty excited for Yong Pal before it aired, because I really like Joo Won (despite not liking most of his drama choices in the past), and was intrigued by the high-energy teaser and the promise of the premise, which made it sound more than a little like City Hunter. In case you don’t know, the premise is a nutshell was: Joo Won is a doctor who moonlights as a surgeon to gangsters and criminals in order to raise money to pay his little sister’s expensive hospital fees. Kim Tae Hee is a rich heiress who lies in a (induced?) coma. Their paths cross. Unfortunately, the drama jettisons this very intriguing premise almost immediately – instead of a daredevil, ruthlessly confident doctor running on the edge of the law, with a healthy distaste for authority as he gets himself in and out of adrenaline-pumping scenarios and navigates the civilized and criminal world – we get a surgeon who bows his head and grovels to anyone in a position of power, and worse, one who gives up the life of crime by the end of the first episode. Instead of being set on the streets of Korea interspersed with the homes of the wealthy, the show is set squarely in that most predictable and oft-used setting in Korea dramas: the hospital. And it’s not the buzzy, warm, fast-paced setting of a tightly-knit hospital ala Emergency Couple, in which already-existing personal relationships unspool and there are gripping patient cases-of-the-week – instead this is a sterile, highly controlled hospital full of repugnant people, and our hero Tae-Hyun is almost immediately switched to working on the low-key 12th floor where the extremely wealthy, largely convalescents are. So the medical and crime aspects are immediately disappointing. The second major disappointment is the COMPLETE lack of Kim Tae Hee so far – four episodes in, her character in the present has said perhaps three sentences in total. She remains completely underdeveloped – we’ve had a flashback about the accident that put her in the coma approximately 124423432 times, but only one other flashback, and in lieu of her being curently awake and interacting with people, we’re left with zero sense of who she is, what her natural personality is like, and why we should care about her. Some reviewers have raved about the gorgeous visuals used to symbolize her mind and soul trapped in the coma – and they are utterly lovely, and had this occurred in a different drama, or even at a different point in this drama, after we got to know her character, this would have been effective. We’d care about her situation, and the visuals would serve to emphasize her isolation, loneliness, despair. As it is, she’s a collection of facts and not much more – we know about her, but we don’t now her. The evil characters in the drama treat her as a doll/figurehead, but ironically, the drama itself has treated her as a figurehead so far, a mostly empty character that the rest of the drama is supposed to revolve around. I cannot wait to see her future interactions with Tae-Hyun (Joo Won), but I am hovering right on the linchpin between dropping this drama and continuing, so a lot will depend on the next two episodes. The music and acting of this are extremely solid throughout, but the editing and directing are rubbish – it’s not just that you can predict exactly what’s going to happen next, what Tae-Hyun is going to do, what the bad guy is going to say next, etc. – but also that it happen slowlyyy – so you’re stuck for a good five minutes just watching the drama set up the next minor thing that you already knew was going to happen. One example of this was when the hospital is in lockdown and Tae-hyun blackmails the head nurse into letting him go back in – where you immediately assume he’ll either rescue his sister or go down to the lower level and attempt to remedy the situation that has the hospital on lockdown. Both are predictable, but mildly interesting. Instead of launching either one of them however, we watch Tae-hyun dither for five minutes, staring at all the people streaming out, then going to his sister’s floor but not grabbing her, then finally heading down to the basement level. Just get him there already! We know that’s where he’s headed. It’s the unnecessary explication like that that really slows this drama down. Tae-hyun is an interesting character, because he’s neither a hero nor an anti-hero; he has very little pride or self-respect, but gets involved in criminal activities out of a sense of survival and inability to see a way out of them, so he’s not the damaged/evil anti-hero who is to be redeemed, either. He’s bent primarily on money, and to attain that, in order to keep his sister alive, he will bow and scrape and do almost anything. Nonetheless – I’m excited to see what kind of chemistry he and Kim Tae Hee have. Kim Tae Hee has always had a very natural charm on camera, and does well with those very intense leading men (see: Song Seung-Hoon in My Princess), so we’ll see if this is another noona romance that can stack alongside the lovely I Remember You. What did you think of it so far? I’m really enjoying it so far, but at the back of my mind I’m expecting something to happen for me to hate this. The medical part is lacking though. I definitely agree with you there. The bodies used for the surgery scenes in the first and second episode (when they were in the hospital) looked incredibly fake. I do get what you mean about stalling too. Kdramas do this a lot, but I don’t mind it as much mainly because it’s not as bad as Indian dramas. My mom watches those and the lack of movement is a lot more noticeable there lol. Will you be writing a weekly recap for the show? I’d be interested in reading your views on things, since it’s different from my own. Mochirochi, I know! That’s the curse of the first few episodes of all dramas, you might like it NOW but who knows what will happen by the end! I do enjoy Yong Pal, I just wanted it to be more tightly written etc. I’m pretty curious to watch episodes 5 and 6 this week, should sway my opinion one way or another (at the least, let’s hope we get some Joo Won/Kim Tae Hee time). I haven’t seen Indian dramas, but I can well believe that – Taiwanese dramas are often much slower than Kdramas too. I won’t be doing a weekly recap, alas – I only do that every once in a very long while with a drama I deeply love.